Now convert your valuable Rewards4Golf points into great golf rewards! Simply redeem your points for a voucher of your choice from our selection of golf retailers below. We will send your voucher to the email address on your account. You can then use the voucher, and feel rewarded, when making your next purchase with your chosen golf retailer. Find Golf Clubs, Golf Clothing, Electric Golf Trolleys and Golf Shoes Online with Foremost Golf. FREE Delivery USING Click and Collect to 950 Stores in the UK. Vouchers will be sent to your home address within 10 working days and are subject to the retailer’s own terms and conditions of use. 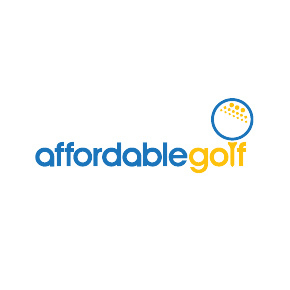 Established for over 20 years ago in Scotland, Affordable Golf is one of the UK's leading online golf retailers, stocking a full range of equipment and clothing from key brands. Shop for golf clubs, clothing, accessories, GPS and more at very competitive proces from Online Golf. Free delivery on orders over £25. Shop at Clubhouse Golf for golf clubs and golf equipment at the lowest UK prices. Clubhouse Golf offer huge savings and the latest products from the top brands. Book a golf break, golf holiday or just browse the latest golf deals across the UK & Ireland, Europe, USA & Worldwide with the golfing holiday specialists. Golf Hotels and Golf weekends in the UK, Ireland, France, Spain, Portugal, America and Worldwide at the best prices from the World's largest golf travel operator. You have successfully redeemed your rewards4golf points! You've saved your current points balance and these are available to spend now! Simply redeem your points for a voucher of your choice from our selection of golf retailers below.